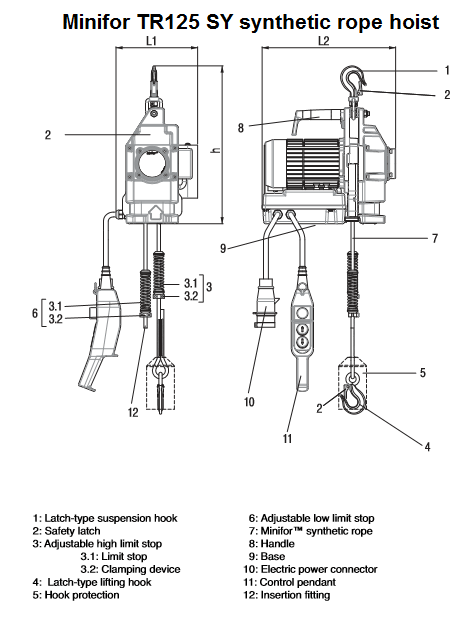 Minifor portable electric hoists available in standard wire rope models (4) and the new synthetic rope model (1). Minifor portable hoist systems are small, compact and lightweight making them ideal for use in space restricted areas. The Minifor range is so compact it can be carried single handed, it is easy to set up and use in almost any location. A Minifor portable hoist is used in many different types of industries due to their versatility and are often kept in work vans /site vehicles for easy access should the need arise. Manufactured by Tractel you can be assured of high quality and safe products. 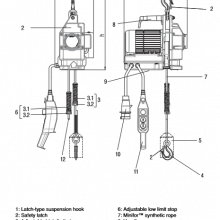 Minifor portable hoist devices can be used to lift and pull in any direction and are perfect for use in enclosed spaces. The height of lift or distance of pull is virtually unlimited and is dependant only on the length of the rope fitted to your hoist. 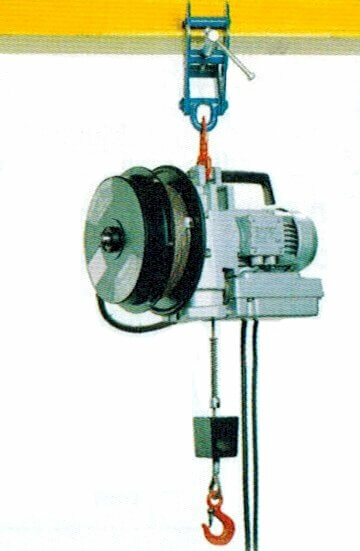 Lifting Hoists Direct can offer 4 wire rope Minifor portable hoist machines and the latest synthetic rope model for use where wire rope is not suitable, such as off shore applications. 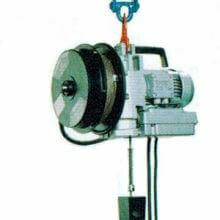 The models are the TR10, TR30, TR30s & TR50 which have lifting capacities of 100kg, 300kg & 500kg respectively. The TR30s differs from the TR30 by speed only – the TR30s has a much faster lifting speed of 13 metres per minute; (the TR30 is 5 metres per minute). 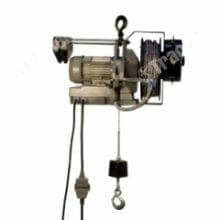 These portable wire rope hoists have a superb weight to power ratio and in-built handle for easy carrying/handling. These models all incorporate robust alloy aluminium casings, swivel suspension hooks and a braking system which is incorporated into the motor. They are quick and easy to set up ready for use and have both upper and lower limit end stops. 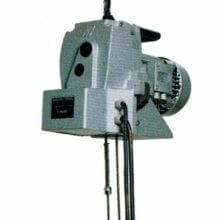 These machines use 6.5mm diameter wire rope which can be in any length; it is recommended that only the special Minifor, maxiflex wire rope is used. 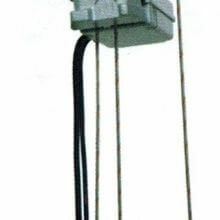 Each model can be supplied in either 110v or 230v, with the TR30s & TR50 also having 400v options. The TR10 & TR30 Minifor’s have the option of adding on a cable reeler for easy winding of up to 40 metres of wire rope, smaller reelers are available to keep the total weight and size to a minimum; Radio control systems and sheave block sets are also available. The TR30s & TR50 can have radio control, but not reelers. 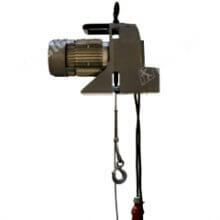 The TR125 SY is the synthetic rope version of the Minifor portable hoist. 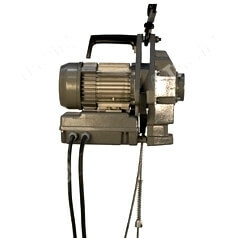 This is ideal for use when wire rope is not appropriate. It was developed primarily for use during repair operations. The TR125 SY is just as compact and lightweight as the standard Minifor hoists and so is just as easy to carry around to wherever it may be needed. There are 5 model options to choose from with tension voltage from 115 to 690v and with operating speeds of up to 30 metres per minute. Both speed and Torque are kept steady throughout operation. They are operated via a push button control hand set that comes as standard, however a wireless remote controller is available. 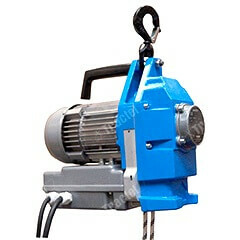 The synthetic rope used in these hoists (available separately) is of a 9.4mm diameter. It has the options of latched hook, self-locking hook or a self locking swivel hook. The lower weight of a synthetic rope is a major benefit to the user, as it dramatically lowers the weight of the whole unit; another great benefit of synthetic rope is its greater flexibility and less prone to damage and deterioration. Only this recommended rope should be used with the TR125 SY. 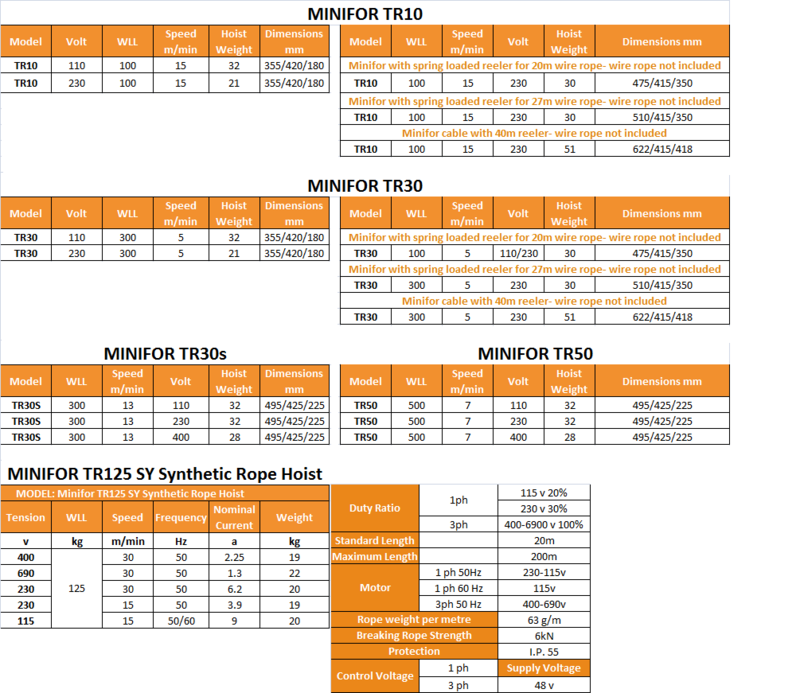 Specifications of the wire rope models at a glance. PDF opens in a new window for your convenience.